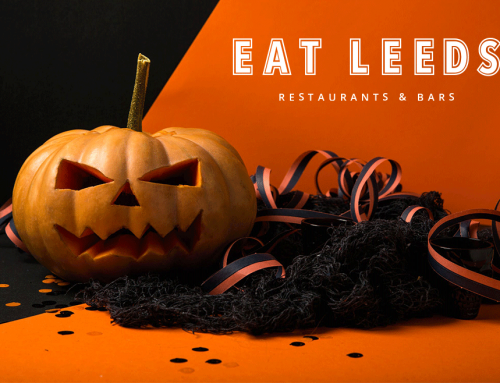 Celebrate this festive period in style with the finest food and drink at the most sought-after locations in Leeds. 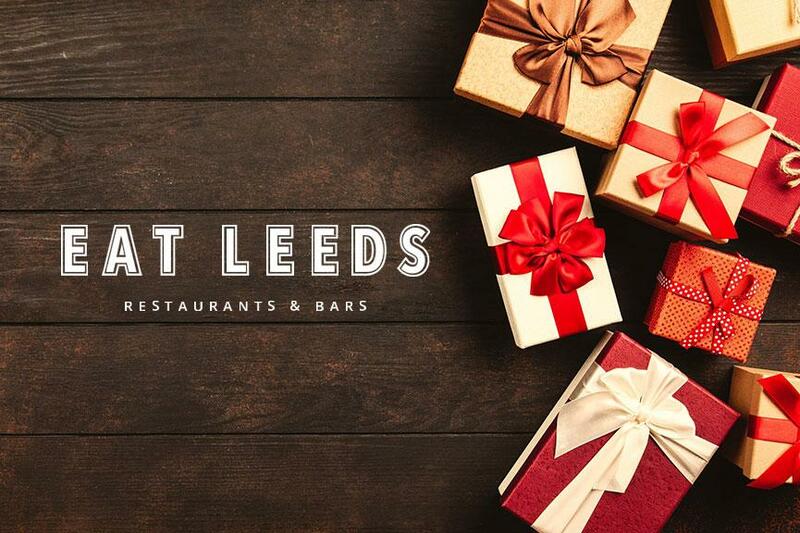 Whether it’s gathering the family around for a delectable four-course Christmas dinner, kicking back with your colleagues for an unforgettable festive feast or taking a loved one out for a spot of yuletide afternoon tea; Eat Leeds are showcasing the best Christmas meals and deals without the holiday hassle! Get a taste of the traditional with a Roast Breast of Turkey complete with all the trimmings, or perhaps opt for something out of the ordinary such as an exquisite Yorkshire Seitan and Wild Mushroom Wellington. 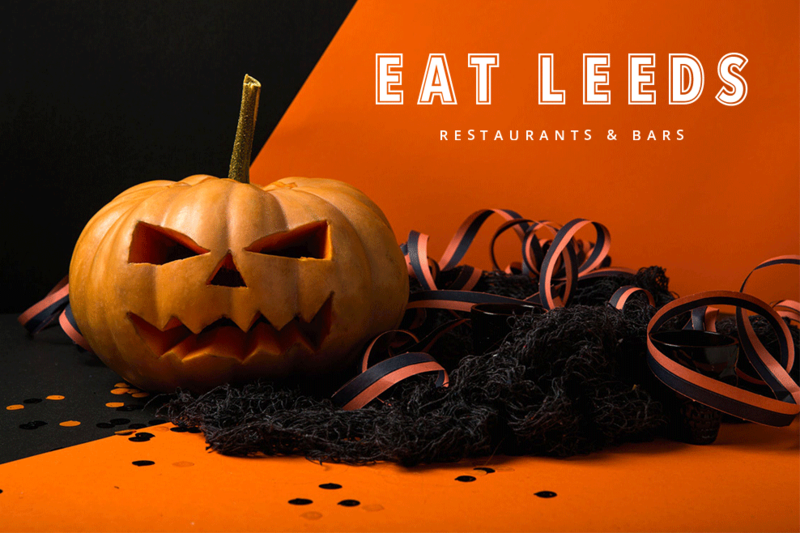 However you decide to delight the palette this Christmas, make sure you do it with a sparkle with Eat Leeds. Looking for a Christmas work party with a tasty twist? Aagrah have come up with the festive goods! Try their Free Craft Beer masterclasses for corporate companies (above 12 people). Make sure to book onto these magical masterclasses, taking place during brunch, lunch & evening time on the 12th, 13th, 14th, 19th, 20th & 21st December, to ensure your company get their Christmas fill of craft beer! If the prospect of planning the perfect Christmas dinner is dampening your festive spirit, then it’s time to bag yourself a table for Christmas Day at Aagrah. They’ll be offering a special festive buffet, with a range of sublime starters, mains, salads, desserts and of course turkey & trimmings with a secret Aagrah twist. Don’t worry if your Christmas Day is already chock-a-block with gift opening and family games, there are loads more dates you can sample Aagrah‘s seasonal sensations! Join them on 12th, 13th, 19th, 20th and 21st December for their fantastic three-course festive buffet lunch. Head into 2019 with extravagance and elegance as you are welcomed into Aagrah‘s New Year Gala Dinner with a champagne reception followed with a delectable five-course meal. After a short breather you’ll be itching to slip on those dance shoes and get your groove on at their disco with a DJ playing a fabulous mixture of universal hits for all ages. Don’t get too carried away because when the clock hits 12 you’ll be entering the New Year with a bang as you gather for midnight fireworks. This night to remember only costs £49.95 per person, a mere sum for a sensational start to 2019. Christmas at Blackhouse: The Grill on the Square will be a hearty affair of fantastic food and tasty tipples set within a cosy atmosphere, perfect for escaping those winter chills! Their marvelous Christmas menu is available from November 19th to December 30th, featuring some of your festive favourites including Spiced Cauliflower & Sweet Potato Pot Pie and Roast Cod with Loin Prawns, sauce americaine, baby kale & anja potatoes. If you like to save room for a sweet treat, then you wont be disappointed; caress your taste buds with their Pecan and Cranberry Tart or indulge in their sublime Salted Caramel Chocolate Pot. 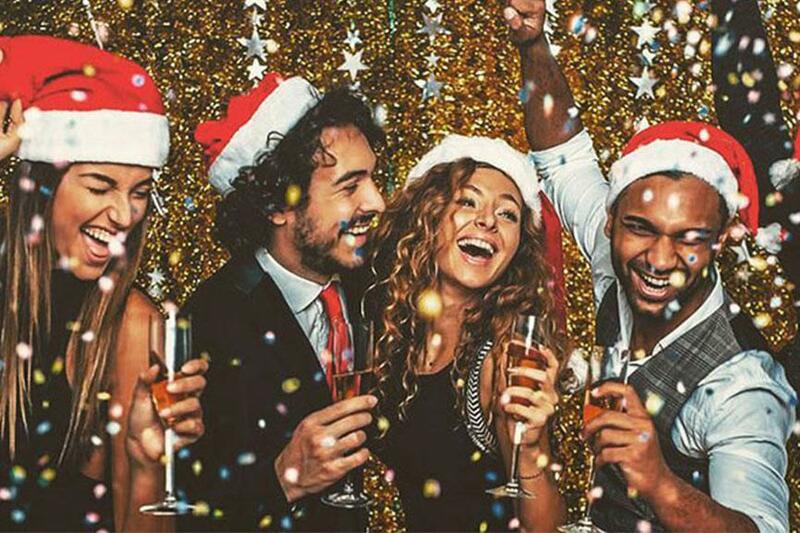 And with a complimentary glass of mulled wine offered to large party bookings on arrival, you’ve got an even better reason to raise a toast this Christmas. Give a gift to your tastebuds this festive season with a visit to Brasserie Blanc. 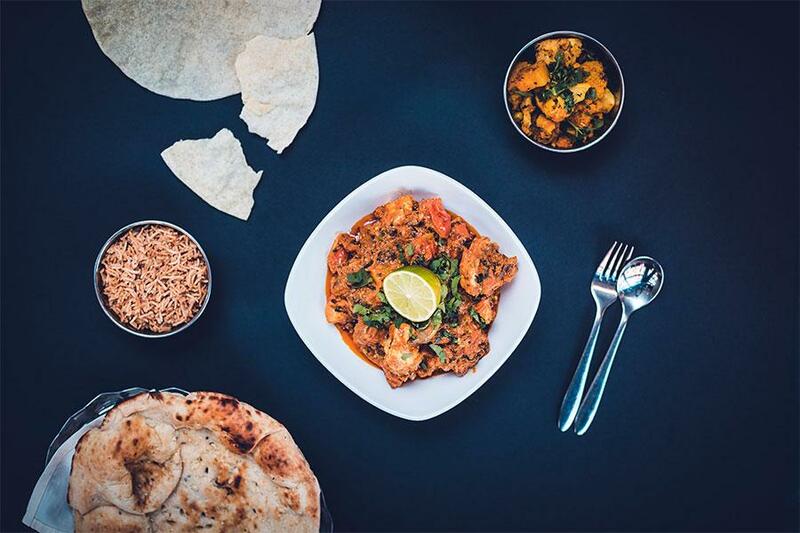 Their luxurious three-course meal includes crackers, mince pies and hot drinks, as well as a selection of seasonally scrumptious choices for starters, mains and desserts, all for £32.50. Savour the intense flavours of their Grilled Smoked Scottish Salmon or dig into their divine Duck Cassoulet with confit duck leg, chorizo, haricot beans and french herbs. 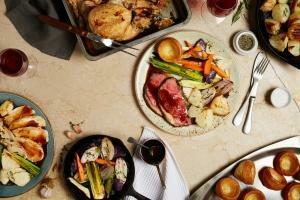 Brasserie Blanc‘s mouthwatering dishes with a classic french twist means its a must book for any Christmas occasion! And with a £50 bounce back voucher if you’re the organiser of the booking, this year you’ll be begging to book the office party. To start December with a generous sparkle and a hug from Santa, join Brasserie Blanc for their Charity Sunday Lunch on December 2nd from 12pm-5pm. You’ll be indulged in a tasty two-course Sunday Lunch for just £20, while being sweetly serenaded by carol singers. Chance of snow this winter? We’ve got the perfect place to take refuge – inside Cast Iron Bar & Grill with a discounted cocktail in one hand and £3 pint of Becks in the other. 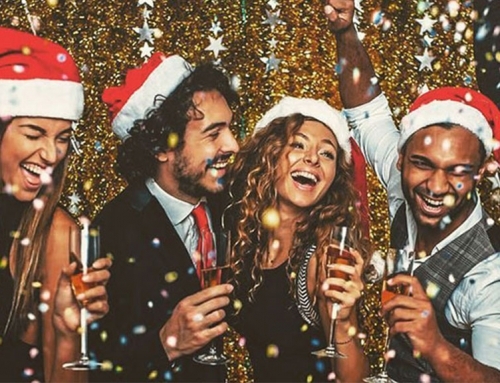 Their Christmas Happy Hour takes place between 4pm – 8pm, making it the ideal spot to start your evening of festive fun! After warming up with a beverage or two, it’s time to settle down for Cast Iron Bar & Grill‘s three-course Christmas Menu. Delight in their Poached Salmon Salad to start, dig into their succulent Chicken Supreme, Chestnut & Sage Seasoning with Seasonal Veg & Potatoes for mains, but don’t forget to save room for their heavenly Salted Caramel Cheesecake! Make your Christmas extra special with a decadent three-course meal at Browns for £29.95, complete with a complimentary glass of bubbly. Start with a warming bowl of Spiced Parsnip and Apple Soup, relish their sumptuous Slow-Cooked Belly of Pork with sage mash, festive spices, Bramley apple butter, crackling and red wine gravy and to cleanse the palette finish with a refreshing Lemon Posset. Doesn’t appeal? Not to worry because their extensive set menu has everything you could desire this Christmas. Make sure to book with a deposit of £10 per person and call 01132 439 353 to secure your place now. Or if the hectic holidays has got your head in a spin book a private dining room and quietly relax with one of Browns‘ discounted Christmas cocktails! All your Christmases have come at once! 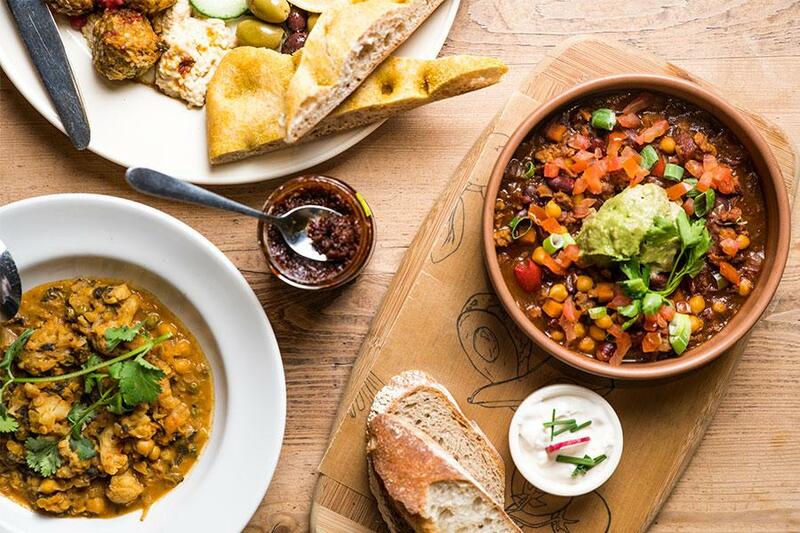 Cosy Club are offering an incredible three-course meal from November 22nd – December 24th for only £27.95 per person and with 15% off selected dates. 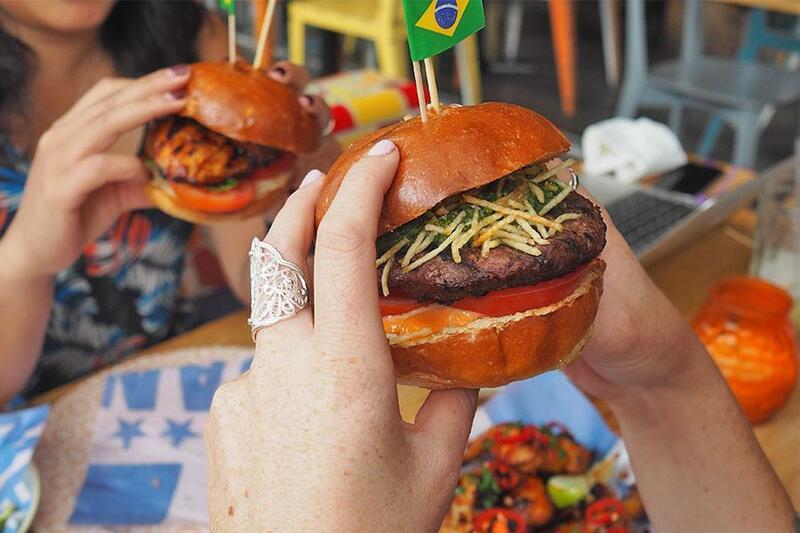 If a light bite is more up your street then their Brunch menu will spoil you for choice! You won’t be able to beat Cosy Club‘s breakfasts, served between 10am – 11.30am. If you pop in between November 22nd – December 24th you can start the day with a glass of well deserved fizz, or any hot drink included with breakfast – all for £13.95. It’ll put you in a great mood for Christmas shopping! If you’re looking to the New Year already you might want to book onto their famous 1920s Gatsby Gladrags event, for a brilliant New Year’s Eve shindig. For £54.95 enjoy four courses, canapes on arrival, a welcome cocktail, a prosecco toast at midnight, live music from a 1920s themed band, dancing, fancy dress and a photo booth memento. 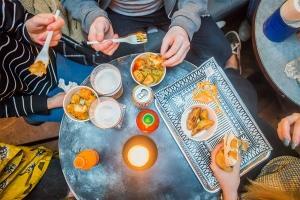 The table is yours from 6pm until 2am. Spice up your winter with a taste of Chaophraya‘s Thai Christmas delights. 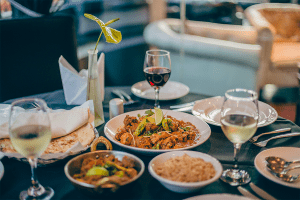 Whether you choose from their Traditional set menu (£29 per person), their Regal set menu (£39 per person) or their Vegetarian set menu (£26 per person), you’re sure to be transported from the bustling city streets to the exotic beaches of Thailand. Some of their distinct signature dishes featured on the set menus include a divine Royal Sous Vide Massaman Lamb Curry, a Sweet and Sour Tofu with Dragon Fruit Dish and a creamy rich Coconut Pudding. 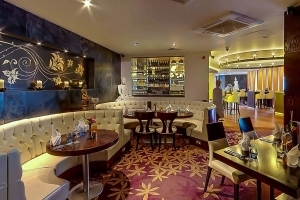 Why not veer from tradition this year and have Christmas Lunch at Chaophraya‘s contemporary restaurant. 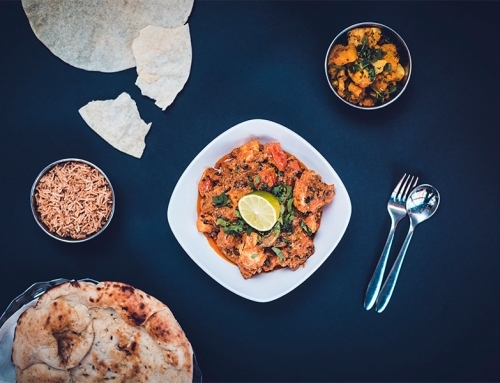 Dine until your heart’s delight for just £14.95, try their Breaded Butterfly King Prawns, Sweetcorn Cakes, Thai Green Chicken Curry or Ginger Mushroom Pad Khing. Merry Christmas ya filthy animals! Dirty Martini are hosting an extravagant spread of delicious Christmas Brunch and Lunch food to keep you satisfied over the winter period. Brighten up your morning with a cheerful combination of tasty treats served on a decadent tiered stand. Indulge in Dirty Martini‘s Cheese & bacon arancini, pigs in blankets, buttermilk chicken, vegetable sushi, brie & cranberry wontons and more. With vegetarian platters available, everyone will be feeling merry! Don’t forget to take a glance at their ingenious martini menu, the Grinch Espresso Martini is sure to dispel your morning mood. If mornings aren’t your thing then Dirty Martini‘s Christmas Lunch & Dinner menu will be right up your street. Whether you’re going for a festive date or taking the whole family for a treat, there is a set menu to suit everyone. Choose from a vast selection of four Christmas menus, including a veggie option, or dive into a Christmas food platter for four. 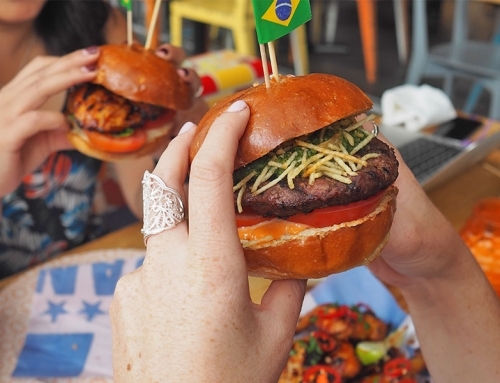 From Beef & Cheese Sliders with Bloody Mary ketchup, to Smoked salmon in a mini Yorkshire pudding with lemon & dill yoghurt, to Chickpea, sweet potato & coriander bites, their fanciful flavour combinations will get you drooling. As if that’s not enough their Christmas Cocktails will add an extra sparkle to your day, from £9.50 each (or £6.50 if you pre-order) you can taste all the aromatic flavours of Christmas. 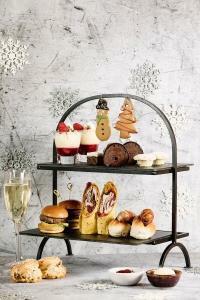 Infuse your day with a bit of glitz and glamour this festive period with Afternoon Tea at Chez Mal. 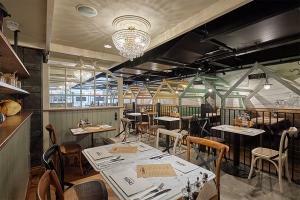 Relax in their vibrant brasserie style restaurant with a glass of champagne, included in the cost of £24.95, to truly take the stress out of the gift-purchasing season! Available from November 23rd – December 20th. On the first day of Christmas my true love gave to me a Christmas Lunch at FireLake Grill House. Treat your loved one, family or friends to an unforgettable Christmas Day by booking a table for this four-course festive feast at £75 per person. With dishes on offer such as tasty Twice Baked Goats Cheese Souffle and a scrumptious Sirloin Wellington with Fondant Potato & Cabernet Sauvignon Jus, it’s worth leaving the comfort of your home for. FireLake Grill House have got you covered at all hours of the day for your Christmas cravings. 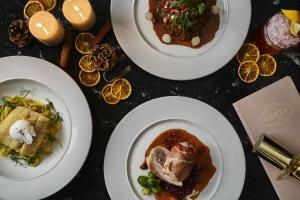 Try out their Festive Lunch menu for a dash of yuletide luxury. Just £19.95 for two courses or £24.95 for three courses available from 12pm – 3pm. Take a break from present shopping and pop in for a celebratory Festive Afternoon Tea for two for just £19, available from November 1st- December 31st. Or for a cosy Christmas dinner check out their Festive Dinner Menu, £24.95 for two courses or £29.95 for three, served between 5pm – 10pm. 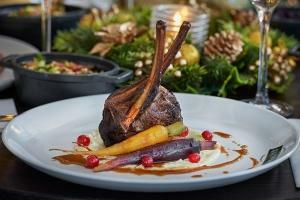 George’s Great British Kitchen have put together a cheery and creative Christmas menu to wow their visitors. Kickoff with one of Santa’s favourite starters, you’ve got a choice of Grilled Black Pudding with Butter Baked Free Range Egg or Breaded Morangie Brie Wedges. Settle down for a merry main of George’s Festive Fish and Chips, Ale Glazed Shallot and Goat Cheese Tart or a ‘Not So Traditional’ Christmas Pie. Still got room for a sweet treat? Dig into one of Dasher’s Desserts, with a choice from George’s Own Ultimate Christmas Pudding or a Warm Caramelised Croissant Butter Pudding. Their Christmas al a carte menu will be running from November 27th – December 23rd, which will run alongside their main menu. Gusto could be the perfect option for your Christmas gatherings; whether you opt for a lavish three-course lunch for £23.95, featuring some incredible dishes such as this Turkey Involtini – hand rolled turkey escallop with Tuscan ham, herb stuffing, braised red cabbage and a red wine & chestnut sauce. Or a divine three-course dinner for £32.95 which boasts this dreamy vegetarian Homemade Cannelloni with roasted winter vegetables, tomatoes and garlic finished with fresh herbs and chilli oil. If these delightful dishes aren’t enough to entice you then maybe Gusto‘s wine and fizz packages will help, receive five bottles of mix and match wine from £90 per package. 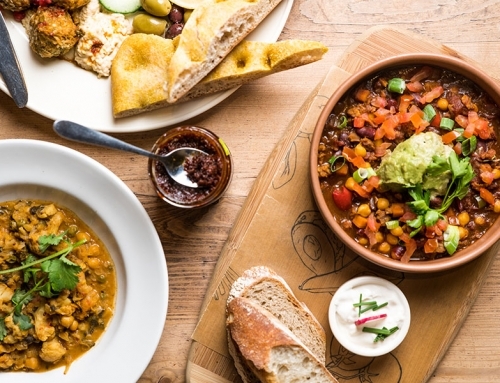 Banish the yuletide guilt with a trip to Knave’s Kitchen to try out their first ever Christmas Menu. This magnificent vegan menu will be available from December 1st and features delicious dishes like Christmas Wurst and Parsnip Bacon Bun as well Boozy Shallots, Root Hash and Lambs Lettuce Truffle Crunch. If you’re looking for a senSEITANal Christmas meal then try out their Yorkshire Seitan and Wild Mushroom Wellington, Rosemary Roasties, Mulled Cabbage, Buttered Greens and Gravy, alongside more scrumptious options. Iberica has left you spoilt you for choice this year with four exquisite group dining menus: Clásico, Ibérica, Gastronomía and their fantastically festive Navidad menu. 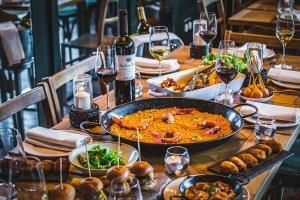 The Navidad menu is inspired by traditional Spanish Christmas flavours and features incredible centrepiece dishes, ideal for sharing! 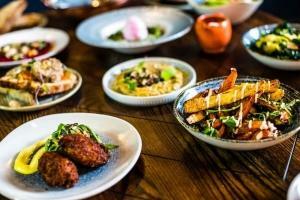 Everyone can dig into to a plethora of classic tapas plates with eye-catching carabinero rice and a sharing shoulder of lamb to follow. When dining between November 5th and January 25th, each group will receive a complimentary glass of Cava and when dining between the 5th and 30th November every four guests will receive a complimentary bottle of one of Iberica‘s specially selected wines. Group bookings must be for eight persons or more. ¡Feliz Navidad! Luxury has come to town in the form of Matt Healy x The Foundry‘s Christmas Party Menu. For £45 you can start this refined festive dining experience with some Gin Cured Salmon, Compressed Melon & Lemon Gel, perhaps followed by Beef Cheek Bourguignon & Horseradish Mash and finish with a tantalising treat of Mulled Wine Panna Cotta. 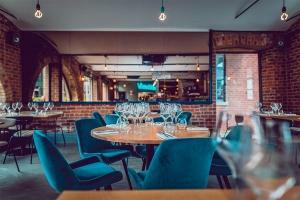 Put some fizz into the New Year with Matt Healy x The Foundry‘s NYE Taster Menu events and sample some of the best alcoholic beverages Leeds has to offer. Choose to experience the Matt Healy Classic Taster Menu, with six courses, Wine Flight and Tattinger Champagne on arrival – all for £100 per person. Or indulge in the Proper New Year Taster Menu with seven courses, Wine Flight and Tattinger on arrival and at midnight – with a £30 supplement. Whether it’s a break from the work week hustle or a weekend get together with friends, Neighbourhood are pulling out all the stops to fulfill all your yuletide yearnings. 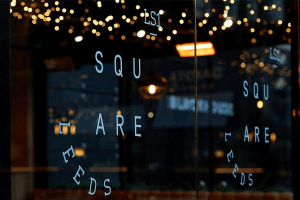 Their four-wave festive feast menu is £25 per person on Sunday – Thursday, and £30 per person Friday & Saturday. This mesmerising menu features original flavours such as the Cheese God – Breaded Mozzarella, Garlic Aioli, Shaved Black Truffle & Brioche; striking combinations like the NBHD Family Bucket – Turkey Strips, White Gravy, Winter Slaw, Parmesan Dusted Corn on the Cob & truffle Fries and veggie delights like this Winter Risotto – Kamut Wheat, Butternut Squash, Garlic and Herb Roasted Mushrooms & Parmesan. 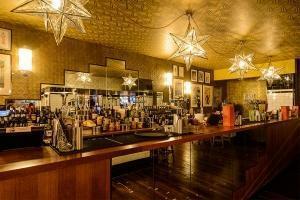 To supply an extra dose of festive fun opt in for the bottomless drinks option for an extra £25 per person. 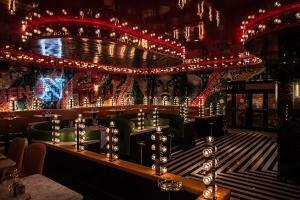 After getting your fill of fantastic food and drink, its time to head to the dancefloor where there’ll be a DJ everyday and live sax & bongos from late. Nothing tickled your fancy thus far? 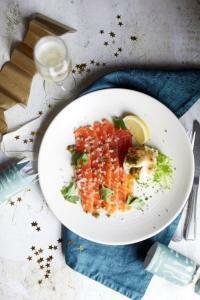 Shears Yard‘s lavish Christmas Menu is sure to spark some excitement. For just £32 you can spoil yourself with some delectable festive dishes. Feeling adventurous? You could start with a Yorkshire Blue Cheese Mousse, Honey & Chili Dressed Squash, Red Chard Salad & Toasted Pumpkin Seeds. Perhaps follow with the Ale Braised Rump of Beef, Brioche & Marmite Dumpling, Honey Glazed Parsnips & Braised Red Cabbage. Still got room? This Frozen Christmas Pudding Parfait, Brandy Caramel & Toasted Chestnuts is sure to fill you up! Pre-booked tables only. This Christmas, The Maven are making it a special one. With three unique ways to dine, you’ve got a tough choice ahead of you! Settle down with a group of friends or family for a two or three-course dinner including a large glass of wine, from £35. With dishes such as Chargrilled Poussin, Fresh Herbs, Pomegranate Molasses, Grapes & Harissa Yogurt, it could be top of your wishlist for places to dine this season. Make sure everyone gets a taste of Christmas with their Buffet option for £20 per person (20+ people), and a feast of Slow Cooked Lamb and Apricot Tagine could be the focal point of your plate. 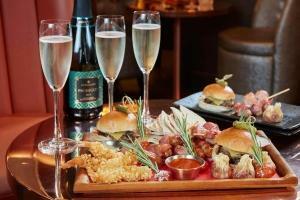 Alternatively, book in for an indulgent selection of canapes, four canapes for £12 or six for £17 per person. These decadent menus kick off on November 26th.